The 12U Green Hornets Greyhounds repeated as champions of Green Hornets girls club soccer on November 5 at Shipley Elementary School by defeating the No. 2-seed Black Bears 2-1. On a cool, crisp fall morning the two defenses played extremely hard, ending the first half tied, 0-0. The second half continued with tougher defense until Greyhounds striker Reagan McDonnell scored on an outside shot from the right side of the field to give the Greyhounds a 1-0 lead. McDonnell added to the lead with another outside shot, and the Greyhounds went up 2-0. The Black Bears didn’t give up and scored on a hard shot to close the gap to 2-1, but the Greyhound defense of goalie Olivia Husselbaugh and players Rebecca Calish, Noelle Magargle, Christina Ballagh, Hailey Hochard, Chloe Marron and Sophia Sudol locked down to close out the championship victory. The offense of McDonnell, Francisca Biann, Arianna Eggleston, Trystan Matuszewski, Mary Reiners and Samantha Wallace worked together to take control of the game and help the Greyhounds avenge a 5-3 loss to the Black Bears in the last game of the regular season, the Greyhounds’ only loss in the past two years. The Greyhounds posted a 35-15 scoring advantage in finishing this season 11-1. With last season’s 8-0-2 championship year, the Greyhound squad of fifth- and sixth-graders are 19-1-2 with two titles since 2015. The team was coached by head coach Eric Husselbaugh and assistant coaches Eric W Husselbaugh and Jared Calish. “All these girls gave me 100 percent all the time, and we are proud of their accomplishments,” said head coach Husselbaugh. Posted on January 8, 2017 by Matt Souder. The Severna Park Black Thunder 02 girls soccer team had a successful season in the extremely competitive Eastern Development Program, going undefeated at 6-0-1 and winning the EDP U15 second division championship. In addition to scoring a league-leading 20 goals and allowing only seven in its six wins and one tie, the team of Megan Bast, Lucy Boehringer, Tobin Chambers, Reagan Clark, Sofia Espinoza, Isabella Espinoza, Grace Flynn, Grace Gibbs, Malia Giroux, Abby Grzeskiewicz , Ally Hall, Brooke Hurst, Natalie Kasuda, Alexis Keating, Sarah Lockard, Maddie McDermott, Leah Meyers, Kendall Nagel, Chloe Nagel, Olivia Nicholson, Sydney Nwuli, Rachel Reed, Christina Riffle, Sarah Lockard, Majia Schwartz, Masene Stimey and Molly Wilson further bolstered its fall resume with a championship at the CCL Shootout Tournament in Williamsburg, Virginia on November 20, a tournament in which they went 4-0. 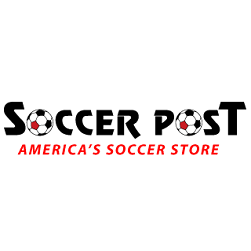 Boateng credited assistant coach Herb Keating and the team’s managers, Mark Nicholson and Kelly Boehringer, for providing crucial support and said the players balanced their club and high school responsibilities admirably. Including tournaments, the Black Thunder 02 finished the season 14-10-3 overall and in the spring will compete in EDP Division 1, the top flight of girls soccer in the region. U15 Severna Park Lasers Win WAGS Division 1 League Title with 7-1 Record! Posted on June 6, 2016 by Kenneth Toma. All tryouts will be on the Lower Kinder Turf unless otherwise indicated. Makeup Dates will likely be June 10th. Posted on May 24, 2016 by Matt Souder. Severna Park BU11 United opened up 2016 on the right (or left) foot with a championship at the PWSI Icebreaker Cup in mid-March. With wins over three Virginia teams (VSA, Chantilly, and SYA) by a combined 11-0 in the preliminary rounds, and a 3-0 lead over Arlington in the first half of the finals ... it looked like smooth sailing to the championship. That was until Coach Souder decided to change the formation to protect their precious lead. Arlington quickly took advantage of the tinkering and poured in 3 goals in the span of about 20 minutes to tie things up. Good job coach ;) Fortunately, Andrew Handen bailed out the coaching staff by hammering one past the keeper from outside the box in a 4-3 victory. United followed up their tournament victory with the SoccerDome BU11 Gold Division indoor title two weeks later. The final game pitted the top two teams in Severna Park and the Dreamers Soccer Academy. Andrew Handen and Owen Muldoon started off the final game each with a header goal (the last for them for a while with the new heading restrictions put in place). Evan Souder then went into beast mode - proving to be a nightmare for the Dreamers - with a key PK save in the first half and two second half goals to help secure the 4-3 victory. SP United and that guy! Posted on April 2, 2016 by Matt Souder. The Severna Park Lasers won the Baltimore Mania College Showcase Tournament, with a 4-0 record, including an exciting finals penalty kick shootout victory against New Jersey Rush. On the way to the title the Lasers scored 9 goals, while giving up only 1 goal in the entire tournament. This Spring the Lasers will be competing in WAGS Division 1 and again entering in the Maryland State Cup. The Lasers play and train Fall, Winter and Spring and all of the Lasers players also play for their respective high school teams. Posted on March 24, 2016 by Kenneth Toma. The Severna Park Lasers won the top division of the SAC Columbia Fall Classic, with a 3-1-0 record. On the way to the title the Lasers scored 9 goals, while giving up only 1 goal in the entire tournament. This Spring the Lasers will be competing in WAGS Division 1 and again entering in the Maryland State Cup, where they narrowly missed a semifinal appearance last year after a 0-0 regular time tie and 7-6 overtime quarterfinal shootout loss. The Lasers play and train Fall, Winter and Spring and all of the Lasers players also play for their respective high school teams. Posted on November 23, 2015 by Kenneth Toma. A remarkable total of eight Severna Park Green Hornets soccer players were recently selected to represent Maryland in the 2016 US Youth Soccer U12 Olympic Development Program (ODP). The US Youth Soccer ODP is a national identification and development program for high-level soccer players. The program identifiesand develops youth players throughout the country to represent their state and regional associations. Maryland State ODP teams are comprised of the best Maryland players in various age groups selected through open tryouts. "It is a real testament to the kids, coaches, and parents that our program accounts for almost 10% of all the players selected for the Maryland U12 ODP pool" said Matt Souder, Severna Park Soccer Commissioner. "That's a really impressive number and shows that our volunteer coach model can, and does, work." "There are a lot of paid-coach clubs and other options to choose from in the area, but with the focus of the kids, the commitment of the coaches, and the patience of the parents, we can provide the tools and training these great athletes need to compete at a very high level." 3-time State Cup Champion SP Fever just aged-out this year so it’s good to know the Severna Park Green Hornets have some talented kids and great teams ready to take up the mantle. Training for the ODP team begins in April 2016 and runs through the summer. The U13-U17 teams will be announced at the conclusion of their tryouts in December. The Green Hornets players selected for the 2016 Maryland U12 ODP team from the U12 SP Heat are: Griffin Bodziak, Mike Johnson, Anders Nelson, Ryan Steele, Zach Tettemer, and Braden Van Den Berg. Joining them from the U11 SP United team are Ryan Rivera and Evan Souder. Posted on November 11, 2015 by Kenneth Toma. Severna Park, MD – The Severna Park Venom and Severna Park Girls United – two Green Hornets Girls U9 Select Soccer teams – won competitive Columbus Day tournaments earlier this month. After advancing through regular play, Venom won the SAC United Premier Columbus Day Tournament defeating Arundel Soccer Association (ASA) Arsenal 2-1 in the semifinals and suburban Philadelphia’s FC Brandywine Gold 1-0 in the championship game. Also competing in the division were teams representing SAC (Columbia), Premier (Towson), and Beadling (Pittsburgh) soccer clubs. The Venom roster includes players Gillian Bean, Parker Collins, Abby Cover, Annie Gage, Emma Lawrence, Addison Mahaney, Olivia Nardone, Sally Reed, Nathalie Shaw, Lacey Toth, Brooke Velez, and Ava Zimmerman. Venom is coached by Dan Gage, Mark Cover, and Chris Nardone. Girls United championed their division in the ASA Thunder Columbus Day Tournament in Crownsville. Also competing were teams from Pasadena Soccer Club, Arundel Soccer Association, and South County Youth Association. The Girls United roster includes players Nina Ambro, Ava Baselga, Kate Behe, Maeve Byrne, Isabella Dorn, Stella Habashi, Rebecca Jimeno, Kaiya Norton, Jessica Ricci, Lena Slade, Nora Tipton, and Athena Vangraefschepe. Girls United is coached by Jeanne Byrne, Kurt Vangraefschepe, and Jen Habashi. Both teams are currently compiling winning fall seasons in their respective leagues – Venom in CMSSL and Girls United in AAYSA. Posted on October 20, 2015 by Kenneth Toma. 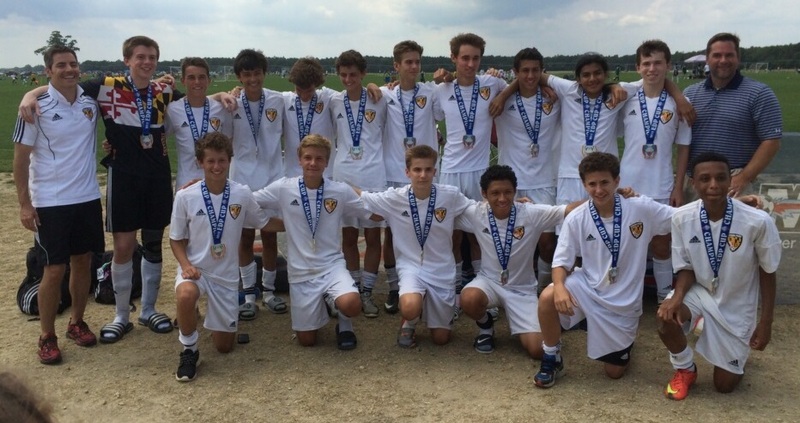 The U15 Severna Park Fury took home the championship of the Silver flight of the EDP Spring Cup June 14th 2015. The Fury's first opponent in group play was NEW JERSEY FORCE SA ARSENAL (NJ), #9 in New Jersey. After an early goal from the opponent, Maxim Murphy put the equalizer in late in the second half to clinch the tie. The Fury then faced STA MORRIS UNITED NPL 99 (NJ). The game was tight for most of the match until two penalty kicks were awarded to the Fury which Drew Belloff and Drew Meyers calmly put away to seal a 2-0 victory. The last day of the tournament and last group play game found the Fury facing the LOGAN SC BLACKJACKS (NJ). Though the day would prove to be hard fought the Fury went up quick with a goal from Clint Strehl mere minutes into the game. The remainder of the game was a defensive struggle to prevent play makers from both sides from scoring; the lone breakdown gave up one as the game ended in a 1-1 tie. The 1-2-0 record was enough for the Fury to advance to the championship and face a cross state rival Olney Rangers blue for the title. Despite the heat and fatigue the Fury stuck to their strategy and focused on the result. The game ended in a tie and went to PKs. In PKs the Fury's first 5 iced it 5-3: Drew Belloff, Drew Meyers, Sam Kriel, Sam Farrell, and Andrew Colebrook. The Fury's keeper, Sam Farrell, blocked the first and second shots, though the second was retaken due to early movement by the keeper. But having saved the first was all the Fury needed. Through it all the Fury gave up only 2 goals; the keeper, Sam Farrell, had two shut-outs. This screams volumes to the intensity and courage by which the backline played; the line is led by Maxim Murphy and Jayshawn Valencia as the center backs. Help from the outside backs came from Will Augustin, Michael Moore, and Chad Bobrick who served not only to defend but also to help build attacks. The outside midfield play of Ryan Muldoon, Griffin Bathras, Drew Meyers, and Colin Hall all helped build width in attack that led to dangerous opportunities. Critical possession was won or lost by the center midfielders. The contributions of Sam Kriel, Andrew Colebrook, Sean Shorkey and Drew Belloff as holding, linking, and attacking mids were vital to the success of both the defensive and offensive possessions. Last, the forward play of Geovany Martinez and Clint Strehl stretched the opponents and created the chances that put the team over the top. Together, the team found the will and the way to shut down skilled opponents and win the championship. Fury finished 3rd (of 10) in NCSL Division 1. Fury finished 2nd (of 10) in EDP Division 2. Fury played 25 matches. They won (or tied) 20 of those - 80%. They lost 5 matches. 4 of those matches were lost by 1 goal. The longest winning streak was 5 matches. They did that twice. The longest losing streak was 2 matches. That happened once. Fury scored 53 goals this season (2.12 goals/match). The 53 total goals and 2.12 goals/match were both their best ever. The most goals the Fury scored in one match was 6. Fury allowed 20 goals this season (.8 goals/game). They had 15 clean sheets in 25 matches. That is over 600 minutes of shutout soccer. That is 10 hours. The longest string of clean sheets was 4 matches in a row. Other than one game, they never allowed more than 2 goals in one match. For as physical as they played they had the least amount of yellow cards in EDP and were tied for the second least in NCSL. As of today ... Fury is ‘ranked’ #7 in Maryland. Posted on June 19, 2015 by Kenneth Toma.